In October I spoke about brownie baking being at the top of my list of things to do when I should actually be doing something else. I’ve been doing quite well, then, considering those salted caramel fudge brownies were the last I blogged about. Fast-forward seven months and a dissertation due in May. With not a single word written and three other projects to hand in, if I don’t over indulge in the teeny stresses of student life on my blog, I fear there *might* be internal chaos. Tell a lie, I distinctly remember blagging on about my dissertation “idea” to two very patient ladies at the London Coffee Festival last weekend. They gave me such a good piece of advice that I’m going to share it with you even if pointless university degrees are not your thing: narrow your focus!! I suppose that could be interpreted into some sort of life lesson, too? Taking that on board, here’s me trying to un-narrow my baking repertoire by adding a vegetable to brownies. And here’s me again trying to un-narrow my waistline by adding a vegetable to brownies. 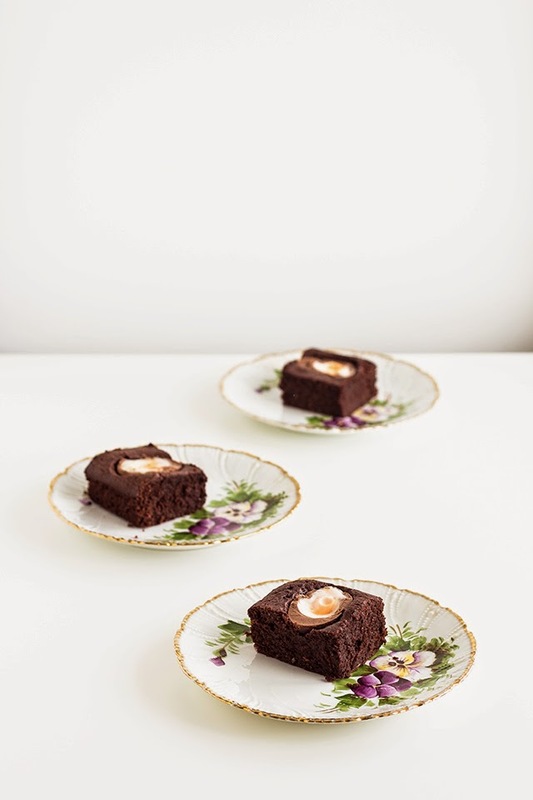 And heres me again topping each brownie portion with half a crème egg…. It’s Easter soon and therefore completely relevant and not weird, okay? Let me just round this off by saying that beetroot and crème eggs go REALLY well together. 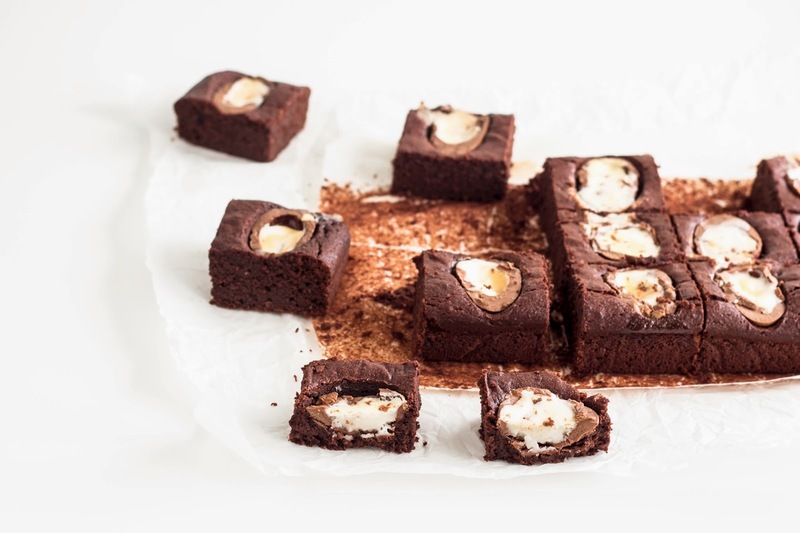 Admittedly, grated beetroot folded into a brownie and then topped with an overly sweet (and therefore only acceptable at Easter time slash all year) confection is a far cry from perfect – think savoury chunks that, better welcomed in a summer salad. But if you puree the beety goodness it isn’t so nuanced. 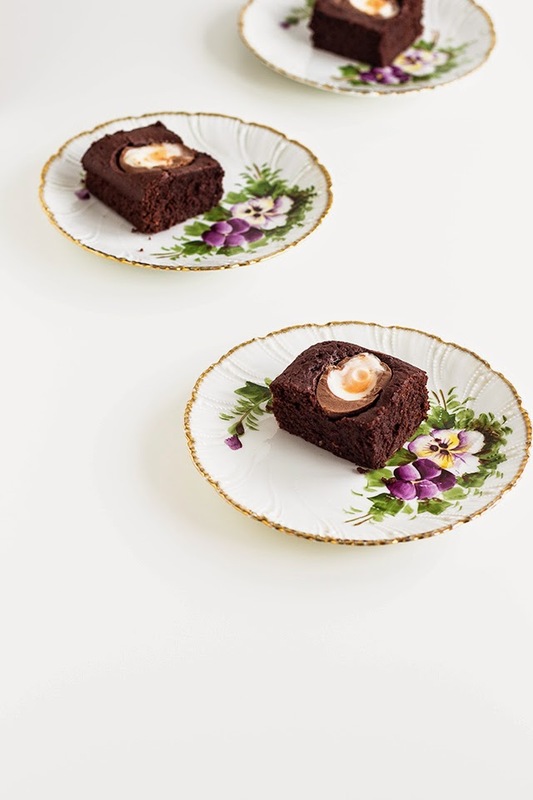 Its there, but the only thing hitting you in the face with flavour will be the caramelized fondant from the crème egg. Note: The beetroot overpowers (in a good way!) any rich butteryness you might expect from an all butter brownie so I chose to add coconut oil for a healthy balance. Because the fats are melted together in the recipe, using all coconut oil and no butter would work perfectly, as would using butter. 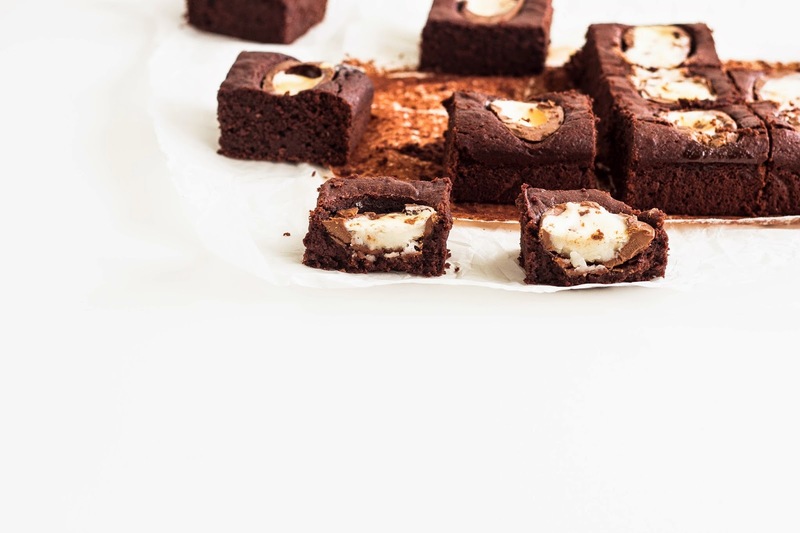 Line a rectangular brownie pan with parchment paper or foil, grease, and preheat the oven to 180 C. Carefully slice crème eggs in half lengthways, using the indent on the chocolate as a guide. Place the butter, oil and chocolate into a medium bow and microwave on the lowest setting for 2 minutes, stopping and stirring every 30 seconds, set aside once fully melted. In a large bowl whisk the eggs and sugar until frothy, then pour in the chocolate mixture and stir until combined.Sift over the flour and fold, then the pureed beetroot. 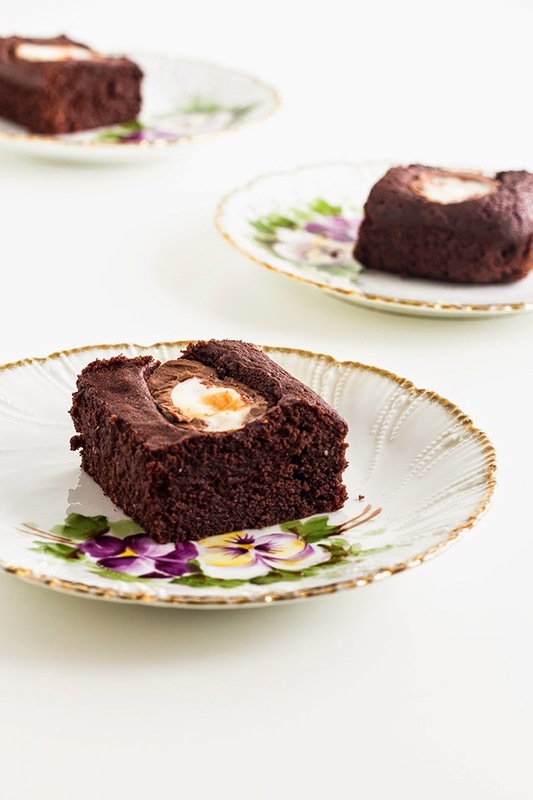 Pour the batter into the pan and dot with the halved creme eggs. Bake for 25 minutes until slightly risen and firm to the touch. Cool completely in the pan, slice up and serve. PS, tips on how not to procrastinate are more than welcome!! I was always so glad that my degree was all exam-based because I could never have coped with having to do a dissertation. I just don't have the enthusiasm or commitment for a project like that so kudos to you. I know you'll get there in the end! 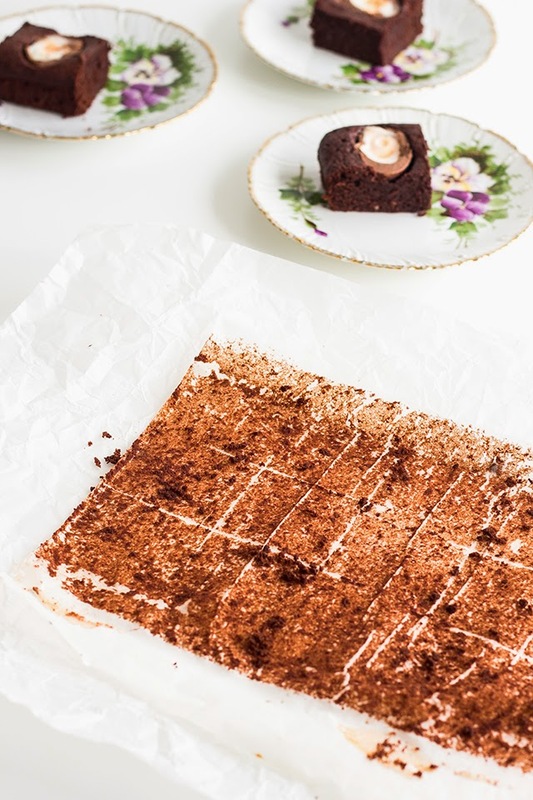 These brownies are totally inspired. 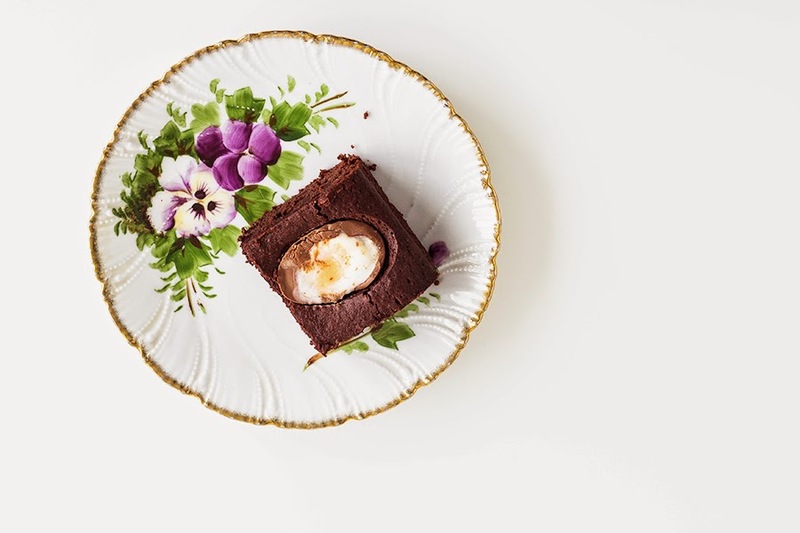 I love the beetroot/chocolate combo, although think the egg addition is one step of sweetness too far for me... although, my sugary arm may yet be twisted!! Good luck with your dissertation!! Thank you Rosie, I think I just need to get past the 'i cant be bothered phase'. Not weird. Inspired. Amazing. So exciting. So unbelievably indulgent. 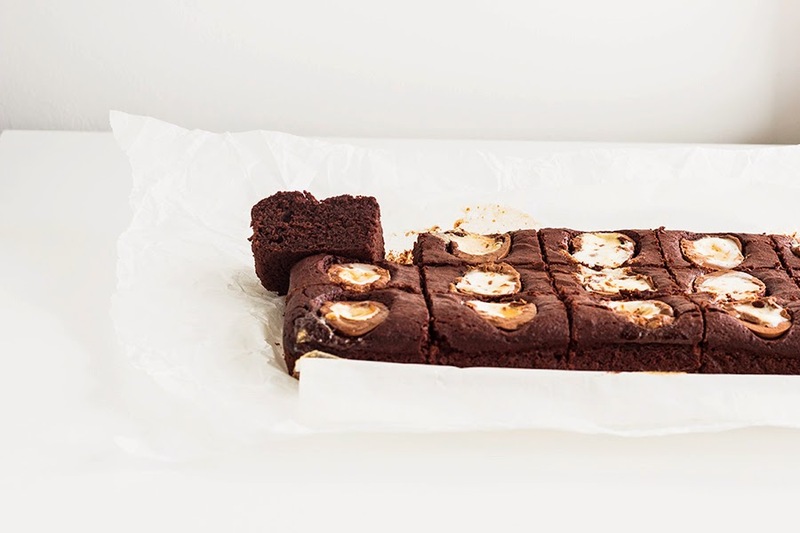 Why have I never thought of topping a brownie with a creme egg??? Brilliant. You already know how I feel about pureed beets in baked goods - surprisingly successful - but my gosh, you really made some a. maze. ing. brownies here. Even without the eggs on top, which are actually quite cute, I'll bet these are just amazing. So glad to see that a bummer of a black bean cake hasn't deterred you from experimenting with unusual ingredients! Did they help? 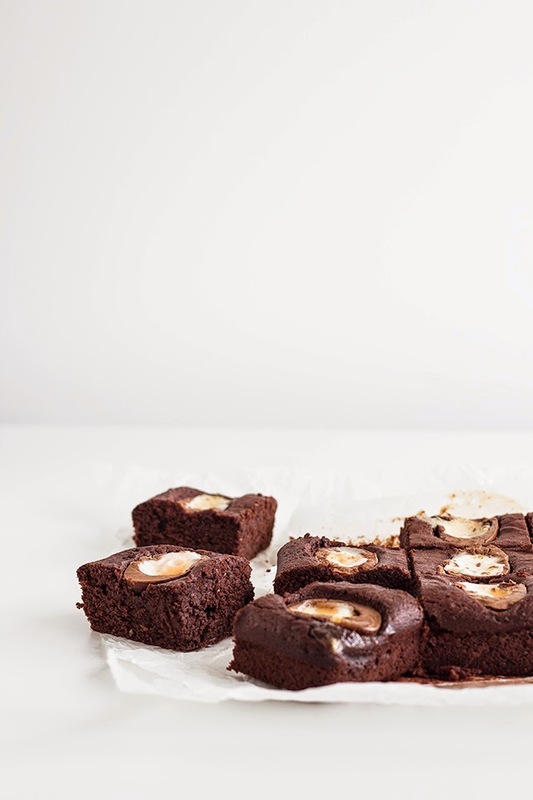 These glorious brownies? I would use cakes/chocolates as motivation ("If I write another five hundred words I get to have a slice of _____" etc). They didnt help at all to be honest! Thanks for the tip :) Now, I have planned to make something tomorrow and do work afterwards...backwards motivation perhaps?